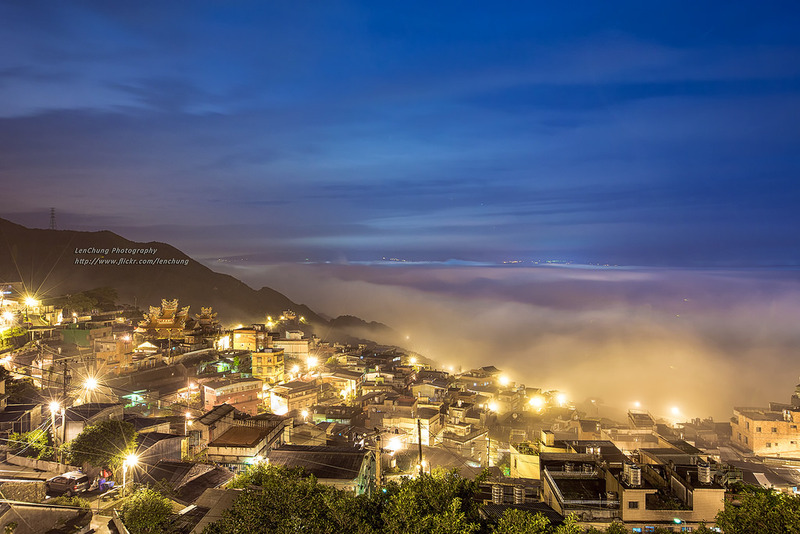 Taiwanese people know Jiufen as the setting for the award-winning film ‘City of Sadness’ by Taiwanese director, Hsiao-Hsien Hou. The film talks about 228 Incident , once one of the most taboo subjects in Taiwanese history that took place on 28th of February 1947, when thousands of civilians were killed by the government troops to suppress the rebellion. 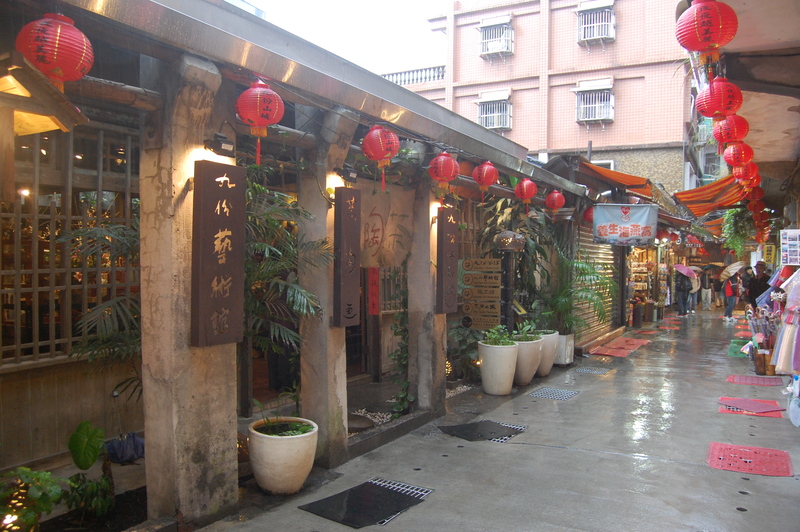 Monuments in commemoration of 228 Incident can be found all around Taiwan, and Jiufen is just of them. Japanese and Western travelers year after year choose Jiufen for a different reason. Travelling to this small town on the slopes of Ruifang hills feels like crossing the border between dimensions as the road runs up among villages and graveyards – and finally the bus drops you off in that very town where the little girl, Chihiro, found her parents turned into pigs in Hayao Miyazaki ’s famous animation Spirited Away. Red strings of Chinese lanterns, convoluted dragon tails, and winding stairways, often covered with the evening fog, will truly transport you to a magical world. Jishan and Shuchi streets is the main historical district of Jiufen, full of antiquity stores, food stalls, and tea houses. From here you can also contemplate the view over the hills sliding into the Pacific Ocean below. Except when it is foggy, then you just see the fog. At the end of 19th century, gold was discovered in the area, and the Japanese built a prison camp here to start mining for the precious metal. The mines were eventually abandoned in the 1970s, and you can still visit them, left the same way as they were decades ago. Wufan Tunnel (五番坑道) near Songde Park (頌德公園) is sealed but can be viewed from the outside. You can climb a few peaks in the neighborhood to see the surrounding landscape in its full glory. Jilong Shan (基隆山) is the closest mountain and is easy to scale in less than an hour. 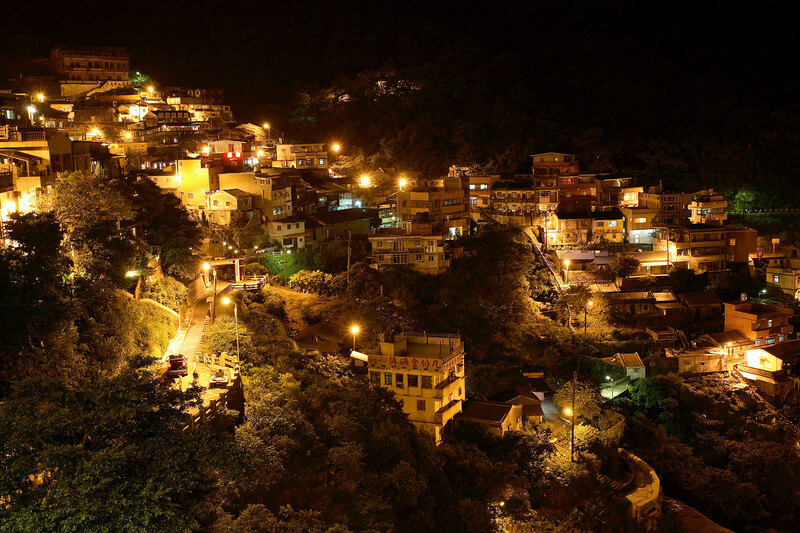 Jiufen has one budget hostel (One My Way Jiufen Hostel) and several guesthouses (Mingsu Long Men Ke Zhan, 86 Guesthouse), as well as a few upscale options. City of Sadness Restaurant is the most famous restaurant due to its name, as explained above. 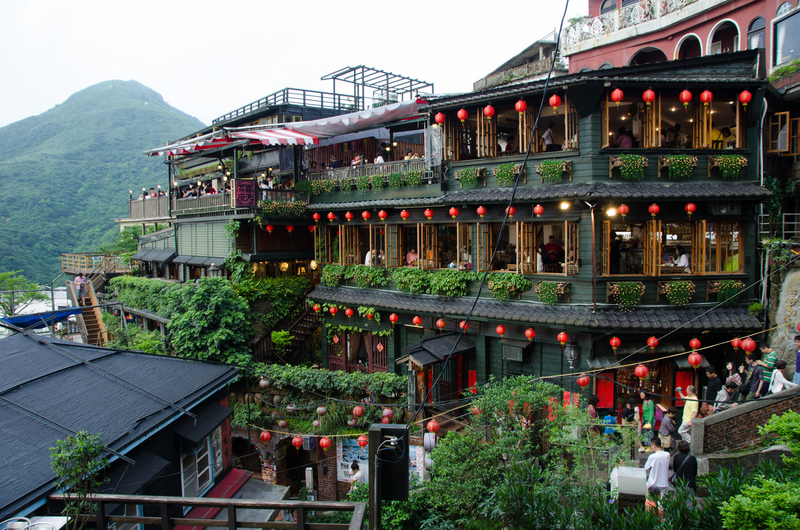 Otherwise, do not try to find a proper place to sit down and eat, the charm of Jiufen and many other Taiwanese towns is in its food stalls and night markets selling small snacks and sweet treats. You might not know what you are ordering but it will be delicious. From Zhongxiao Fuxing MRT in Taipei, take bus number 1062 that goes directly to Jiufen. It stops in several other places around Taipei and you can choose the most convenient stop to hop on. 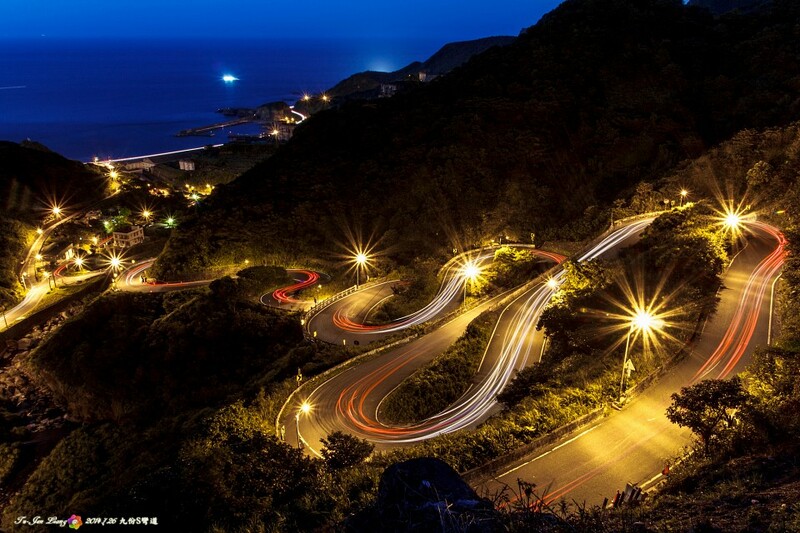 From Keelung harbor, bus 788 runs directly to Jiufen.